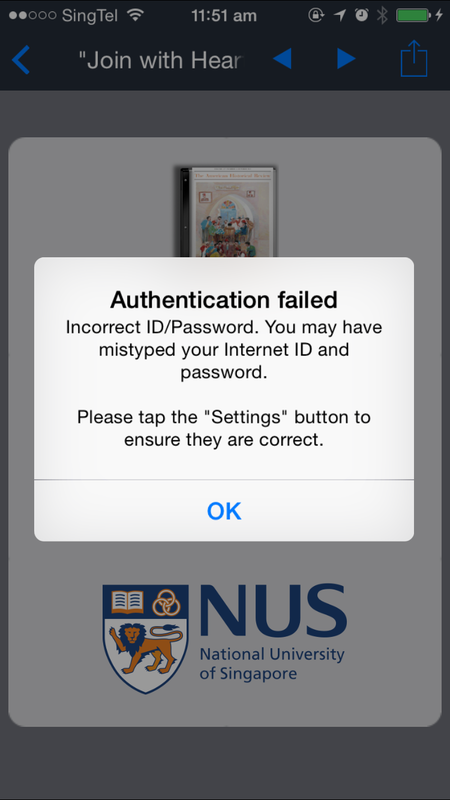 Q. I encountered an "Authentication Failed" message in Browzine even though I already keyed in my NUSNET account in the settings page. What should I do? 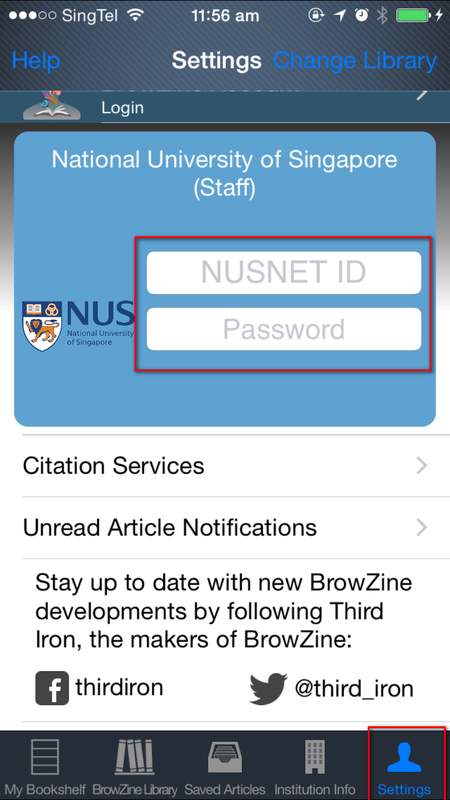 As Browzine only checks the NUSNET account and password when you choose to see the full-text of an article, the NUSNET ID and Password when you first keyed in when you first accessed Browzine might be wrong. If you have forgotton your username or password, or you are facing NUSNET issues, please contact IT Care. Alternatively, you can also email us with screenshots and a brief description of the problems you are facing.